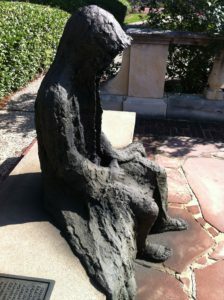 Grief by Lee Stark. Purchased April 16, 2000, by then Texas City Mayor Charles T. Doyle in honor of the SS Grandcamp disaster as well as the 100th Anniversary of the 1900 Galveston storm. On the morning of April 16, 1947, the SS Grandcamp, surrounded by refineries and chemical plants near the Texas City docks, exploded with a force compared to the Nagasaki atomic bomb, taking the lives of nearly 600 people and injuring thousands more. When a catastrophe like this strikes, reports focus on the number of lives lost, the extent of damages, the estimated cost of reviving the area, and how much the government will contribute to the recovery, with little discussion of the emotional devastation. In the wake of this disaster, some plant workers did not want to return to their jobs and some residents moved away from the industrial city. For those who witnessed the damage to homes and businesses and observed the mangled bodies of the dying and injured, their lives were forever haunted by those harrowing memories. Despite the shock and grief, Texas City residents showed the same strength and courage Americans had demonstrated during World War II, creating a bond of brotherhood that transcended barriers of race, ethnicity, and religion through their shared human experience. 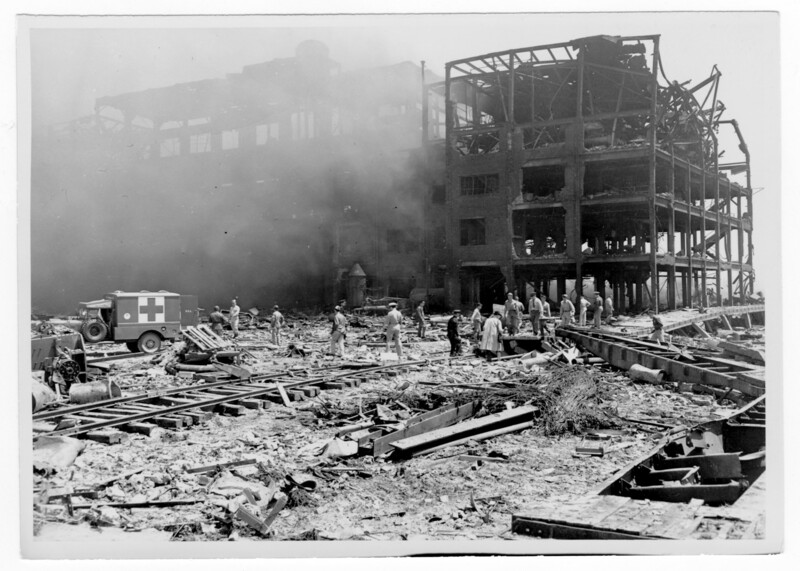 With a force equivalent to 250 five-ton bombs, the explosion of the SS Grandcamp was able to decimate warehouses to mere chunks of brick and concrete. Such is the case with the Monsato Chemical Company Complex pictured above. In 1941, the Houston Port Book identified Texas City as the fourth largest port in Texas and sixteenth in the United States based on its volume of business during 1938 to 1939, up from a national rank of thirtieth in 1936. Rapid growth continued during World War II mainly due to its location near the Gulf Coast and the Houston Ship Channel. 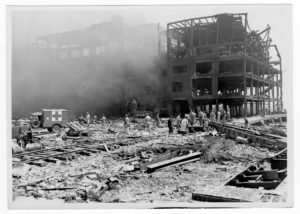 Inn this video author Cheryl Lauersdorf Ross, gives greater detail and a reflective description of the Texas City Disaster. This video courtesy of the Library of Congress includes newsreel footage from the aftermath and damage of the SS Grandcamp’s explosion. Viewer discretion is advised, some mildly graphic content.